Access Medical Associates - Urgent Care (Branchburg) - Book Appointment Online! 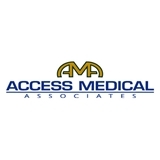 Access Medical Associates is a multi-specialty medical facility that brings together a network of commonly needed outpatient medical services to one location. We interlock those services so that you have the convenience of many physicians and specialists who work together to provide a level of care rarely found in one place. You’ll find us to be a medical practice that is there when you need it, including evenings and weekends — with no appointment necessary. Your family will be attended to by a caring and competent staff, who will be responsive to your needs. Our physicians are board certified in Emergency Medicine, Internal Medicine, or Family Medicine; chosen not just for their medical skills, but their people skills as well. Visit to office was fine. I had a minor issue and the staff who attended to me were very efficient and professional.